How Do Silent Alarms and Duress Codes Work? What do you do if a burglar is in your home at the same time as you? You hide and hope you don’t get caught but you can’t make a sound. That means no calling the police. If you have a silent alarm set up you may be in luck. You could press the panic button to alarm authorities without the siren going off in your house. Or, a scarier scenario, the burglar has found you and told you to shut off the alarm. You can enter the duress code to turn the siren off, but it continues to alert the authorities. Find out how to get this set up and why it’s so important. How Does a Silent Alarm Work? Think back to that bank robbery movie you watched and how the bank teller pressed the alarm button beneath the counter. Bingo. That’s the silent alarm! To explain further, when you first get your security system there’s a chance it isn’t set up with the silent alarm feature turned on. Typically when a system is triggered, there is an allotted amount of time for you to turn off the system (in case it’s a false alarm) or if it’s an actual intruder, the alarm will sound, scaring the intruder off (hopefully!). Silent alarms work differently though. A silent alarm is an alert sent to the monitoring station or local authorities without sounding a loud siren in your house. There are two reasons a silent alarm may be triggered from your home (if you have the silent alarm set up): by pressing a panic button or entering a duress code. What Does a Panic Button Do? When a panic button is pressed, the authorities come to your home immediately instead of calling your phone first, like they do with a typical alarm alert. This can be lifesaving if an intruder is in your home. You can press the button to alert authorities for help immediately without tipping the criminal off. Say an intruder is holding you hostage and tells you to enter the passcode to shut of the alarm.Instead of entering the normal system code, you enter the duress code. This will turn off the loud siren but authorities will be notified immediately and help will be on the way. Why Aren’t Silent Alarms Set Up Right Away? Some security companies actually have a silent alarm set up when you first purchase your alarm system; however, others do not. This is typically because the duress code can be confused with the real passcode or the panic button can be pressed accidentally and alarm companies want to avoid confusion. For example, say you set up your normal passcode as 5067 and your silent alarm passcode is 7605. You forgot to disarm your system before you left your house and the monitoring provider called you and asked for your PIN. You accidentally gave them the silent alarm passcode 7605 and the police show up at your home. It’s good to get your feet wet and learn about your system so you don’t trigger a silent alarm without even knowing you’ve done so. It’s important to speak with your alarm company to determine whether your alarm comes with a preset duress code. How Do You Set Up a Silent Alarm? We suggest not setting up your silent alarm until you are comfortable with your system. How long is that exactly? Well, it depends. Some of us acclimate to new gadgets faster than others. After you’ve installed your system and you’ve begun using it, mark on your calendar one month from that day to look into setting up a silent alarm. When that day comes, if you are not comfortable enough with your system, set a reminder again in another month. Once that day comes you need to figure out how to set up your silent alarm. Typically you can set your silent alarm up in an online portal or over the phone. Here are some examples of how to set up a silent alarm with certain companies. Protect America—Call customer service to set your duress code up. LiveWatch—There are two different ways depending on the panel you own. Silent alarms can be lifesaving in the event of an emergency. 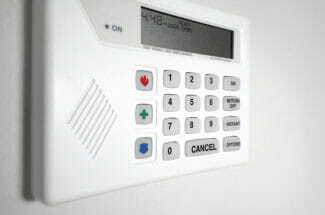 If an intruder is in your home, a silent alarm can help get you emergency help without putting your life at more risk. Each company has a different process for setting up silent alarms so be sure to do your research so you set yours up correctly. Have you ever had to use a silent alarm?